Company's value has gone from $2.6 billion to $2 million. NEW YORK — Aeropostale, once the vibrant epicenter of the U.S. mall scene, is seeking Chapter 11 bankruptcy protection and closing 20 per cent of its stores in North America. The New York company said Wednesday that it is closing 113 of its 739 U.S. stores and all 41 locations in Canada. Going-out-of-business sales at those U.S. stores will begin this weekend, and in Canada they will begin the week of May 9. Almost every teen retailer has suffered under a vastly altered consumer landscape that took root during the recession. Fast fashion outfits like H&M and Forever 21, with more inexpensive clothes, have emerged in recent years to take a growing market share from Aeropostale, Abercrombie & Fitch and American Eagle Outfitters, stores that not so long ago dominated the retail sector. 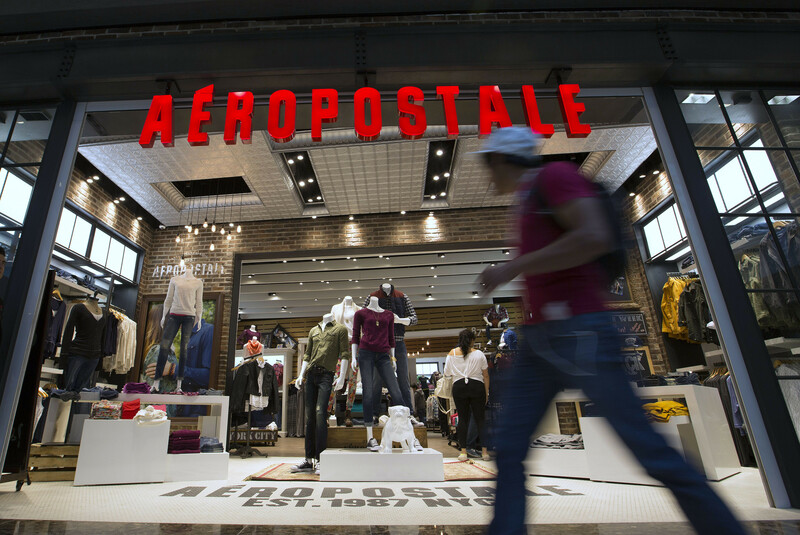 Once worth almost $2.6 billion, Aeropostale's market capitalization has fallen to about US$2 million. The company's shares traded for more than US$30 six years ago, when annual sales exceeded US$2 billion. Two weeks ago, it was delisted from the New York Stock Exchange with shares having failed to break the $1 barrier since last year. Shares on Wednesday were trading over the counter for less than 3 cents. The company early this year said that it would cut expenses by US$35 million to US$40 million annually and trimmed its corporate staff by 13 per cent, about 100 jobs. Aeropostale has secured a commitment for US$160 million in debtor-in-possession financing from Crystal Financial LLC, which will allow it to continue operations. It also filed a series of motions that would allow it to pay employees, as well as honour customer gift cards and pay suppliers, if approved by the court. In the bankruptcy filing, CEO Julian Geiger lashed out at Sycamore, which he accused of hampering the company's turnaround plans.